IPC Systems, Inc., a leading global provider of specialized communications and managed network-as-a-service (MNaaS) solutions for the financial trading community, today announced it continues to expand its financial marketplace in the ASEAN region with the addition of Bursa Efek Indonesia (IDX) to the IPC Financial Markets Network (FMN). The addition of IDX to IPC’s FMN provides capital market participants around the world with secure, reliable connectivity to accessing the Indonesian financial markets while meeting regulatory requirements. The announcement is part of IPC’s continued worldwide network expansion and enables global investors to trade equities, bonds, derivatives and mutual funds in the Indonesian capital markets. MNaaS solutions are becoming increasingly important to access Indonesia’s capital markets in order to effectively execute on a wide range of complex cross asset class trading strategies – strategies that require connectivity for the complete portfolio of trade lifecycle services, market data, business continuity, risk mitigation and liquidity management. Indonesia Stock Exchange views that institutions that are investing and trading in Indonesia are demanding reliable, secure and trusted connectivity options for executing their trades, consuming market data and managing risks. 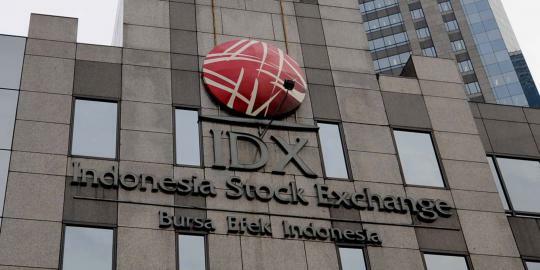 It cites positively to global institutional investors having greater options to connect to IDX. The IPC Financial Markets Network service portfolio includes the Connexus Financial Extranet, Direct Connect and MPLS WAN data services, as well as Trader and Enhanced Voice connectivity services. IPC’s Financial Markets Network interconnects global financial centres and allows access to more than 6,000 market participant locations in over 700 cities in nearly 60 countries.